The innovative technology behind the Parallel Pen is being heralded as an evolution in calligraphy. 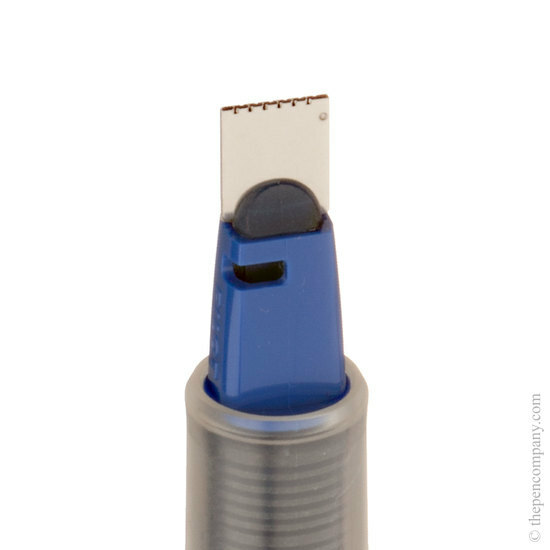 The nib consists of two parallel plates, available in 4 widths, which create precise and highly defined lines. Ink can be transferred between pen nibs, allowing you to mix colours and create pleasing gradients in your calligraphy, illustrations or musical notation. Perfect to enhance your enjoyment of beautiful handwriting in our increasingly computerised age of communication. 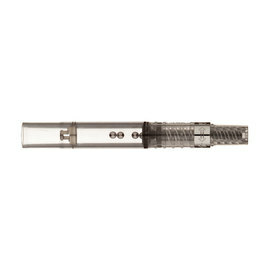 The barrel of the pen is silver, whilst the tip and lid colour denote the width of the nib. The pens come in four nib widths - 6.0mm, 3.8mm, 2.4mm and 1.5mm and their lids and tips are coloured blue, green, orange and red respectively. 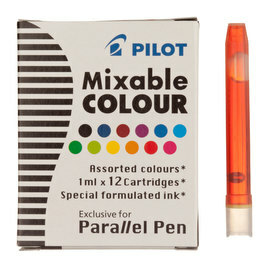 Pilot mixable inks are available in 12 colours - black, blue black, sepia, violet, blue, turquoise, green, light green, yellow, orange, red and pink. Each Parallel Pen set contains the pen (cap, pen unit, barrel), one black and one red cartridge, a pipette for cleaning the pen unit, a nib cleaner, and an instructional and care guide. 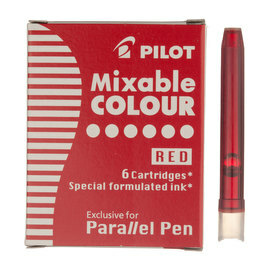 We'd love to know how you get on with your Parallel Pen. If you're proud of your calligraphy creations please share with us over on Facebook and Twitter.